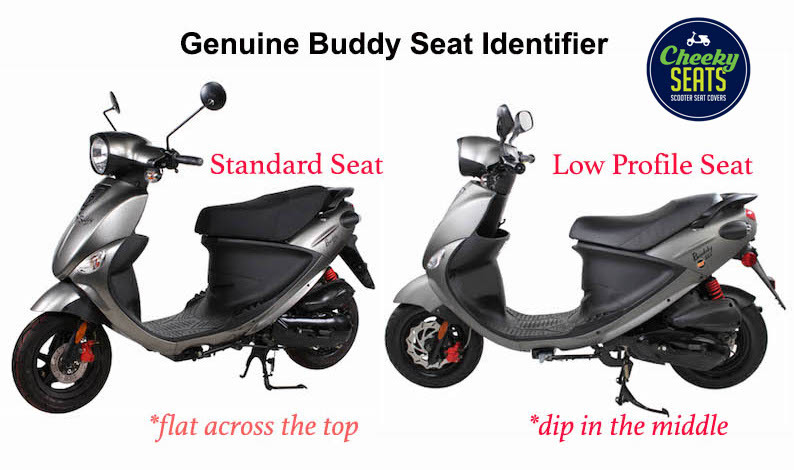 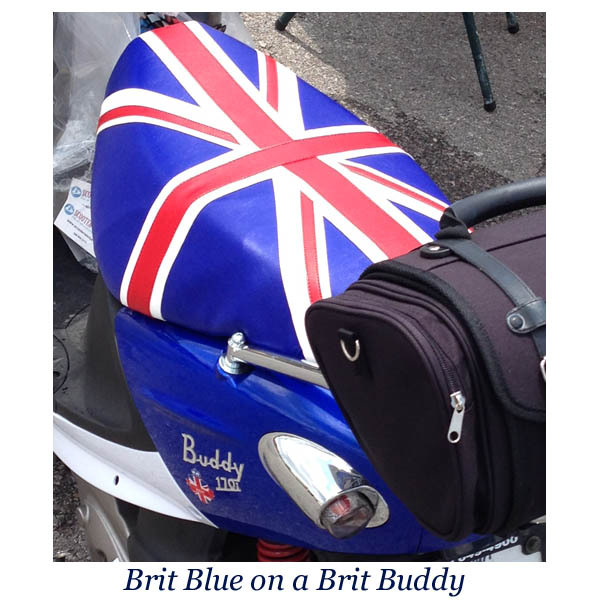 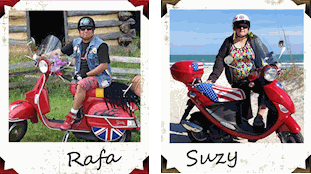 We present our full color Union Jack for the Genuine Buddy scooter. 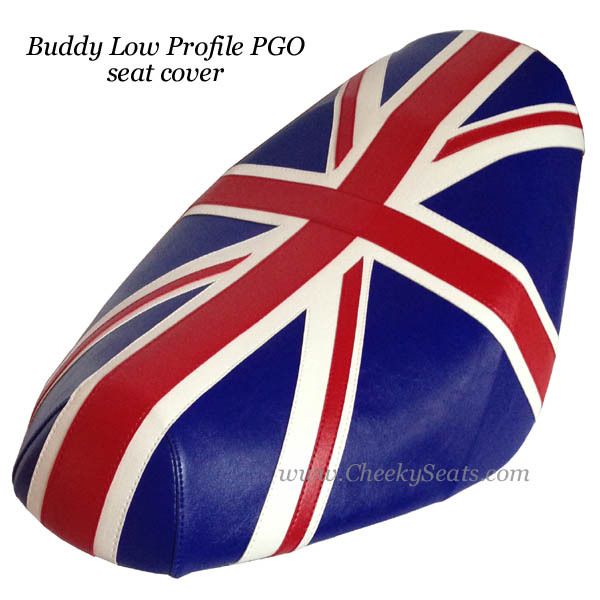 The most challenging seat cover we make, this is a hand cut, fully sewn, made to order seat cover, not a printed pattern. 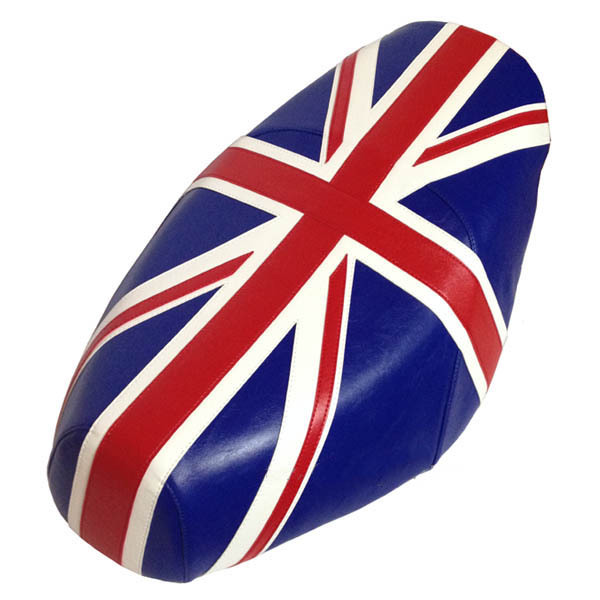 No shortcuts are taken in the creation of our Union Jack, the proportions and positioning of the stripes are all correct, unlike many other representations of this iconic flag of Great Britain. 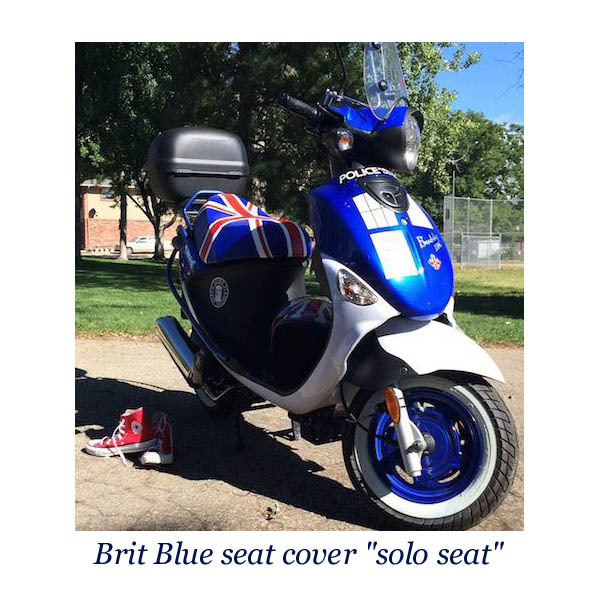 This gorgeous seat cover is waterproof, UV stabilized (will not fade in the sun,) and scuff, abrasion and stain resistant. 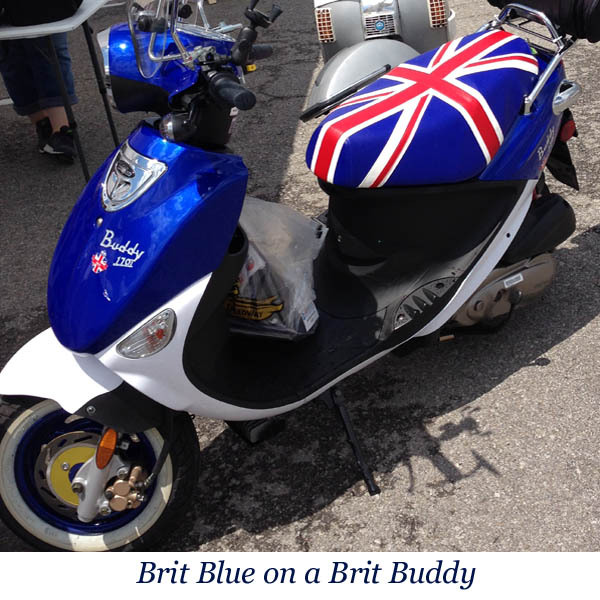 We loved it so much we made one for our own Buddy!